There are plenty of supplements and pills out there that you can take to control cravings, lower blood pressure, lower cholesterol, improve energy, speed up your metabolism…and the list goes on. But what exactly is it that makes Shakeology a better solution to these issues? – Easy…its the quality of the ingredients! With Shakeology, you aren’t taking in some capsule that was formulated in a test tube; you are taking in REAL WHOLE FOODS. A lot of you have tried the Vegan Tropical Strawberry flavor of Shakeology and really like it. Some people didnt like the slight grittiness of the plant based protein in the Vegan options even though it tasted amazing. Well now you can have the smoothness of regular Shakeology with an intense strawberry smoothie flavor! I love strawberry shakes, so I am pumped about this new strawberry shakeology flavor. Dont get me wrong, I will still be drinking my Chocolate PB & Banana shake every morning, but this is going to add some variety into the mix which is always nice. 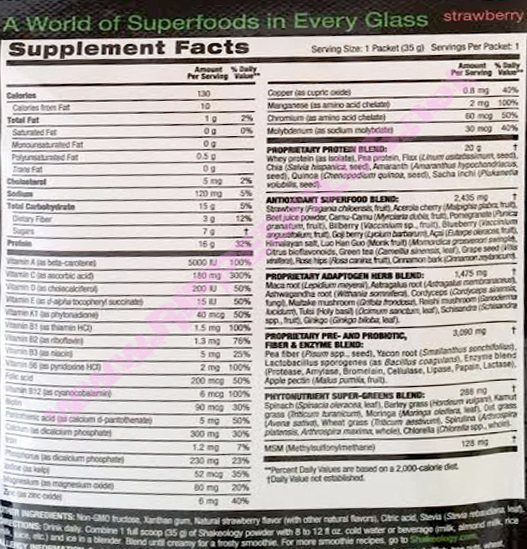 I dont just drink any shake…so its important to me to know whats in the strawberry Shakeology ingredients. You can see exactly what you will be putting into your body each day in the photo below. 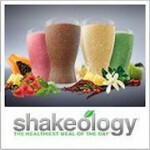 How Can I Try The New Strawberry Shakeology??? 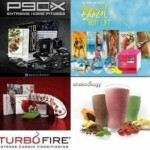 What I love about Beachbody is that they stand behind all of their products with a full 30 day money back guarantee. With Shakeology, they actually go even further with a “bottom of the bag guarantee. That means that you can use the entire bag of your new strawberry Shakeology, and you are not satisfied with the results you are seeing…send the empty bag back for a full refund. Can I Get A Sample of the New Strawberry Shakeology? 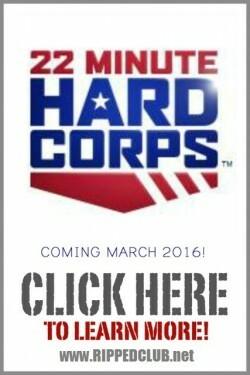 Make me your free coach here. 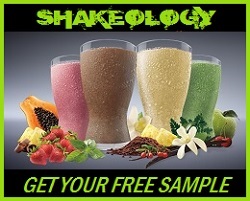 If I have sent you a free shakeology sample in the past, I can really only afford one “free sample” per team member (remember, these cost me $6-$10 each to send out). If you would still like to try the new strawberry Shakeology, I am politely requesting that you cover that cost via a $6 payment through PayPal (my PayPal email address is toddwbhs@gmail.com). Please include in the paypal comments section that you payment is for the “new strawberry shakeology sample”. I only have a limited supply of these samples, so if you want your before they run out…please follow the directions above precisely. If you dont…I cannot reserve your sample. I am pumped to try this out! I love strawberry lemonade…This recipe is going to become my “cheat” in the future, lol.